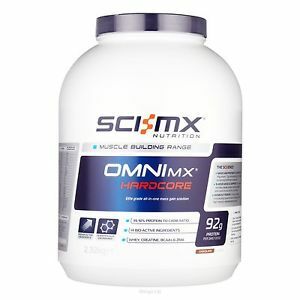 Ingredients: Maltodextrin, Proprietary Xtreme Gainer Matrix (Soy Protein Isolate, Whey Protein Concentrate, Wheat Protein, Milk protein, L-Glycine, Egg protein, Creatine Monohydrate, L-Glutamine, Inositol), Natural and Artificial Flavors, Sweetener (Sucralose), Vitamin & Mineral Blend (Vitamin C, Vitamin B3, Vitamin E, Vitamin B5, Vitamin B6, Vitamin B2, Vitamin B1, Vitamin A, Folic Acid, Biotin, Vitamin B12, Iron Sulphate, Zinc Sulfate, Manganese (Manganese Gluconate), Copper Gluconate, Potassium Iodate, Sodium Selenite), Color (Beta-Carotene). Directions: Add 334g (approx. 5 scoops) to a blender filled with 22 fL.oz. (approx. 660 mL) of water. Blend for 45-60 seconds. Then add a few ice cubes and, if desired, other calorie-contributing ingredients and blend for an additional 30-45 seconds. Tips: Mixing two scoops with 22 fL.oz. (approx. 660 mL) of nonfat or low fat milk instead of water will give you a thicker, creamier, higher-calorie shake. New users may find it beneficial to begin with 1/2 of a serving daily for the first week and then gradually increase to 1 or more full servings several times a day. Between meals: Drink 1/2-1 serving of the product between meals to maintain a positive nitrogen balance and support a high-calorie diet. 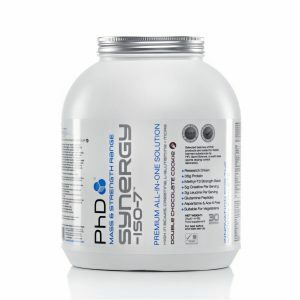 Post-workout: Begin drinking 1/2-1 serving 30-45 minutes following exercise to support maximum recovery. Before bed: Drink 1/2-1 serving about 45-60 minutes before bed to provide nutrients to recovering muscle throughout the night. Warnings: Consult with a qualified healthcare professional before taking this product if you are pregnant, nursing, under 18 years of age, or if you have any known or suspected medical condition(s) including diabetes or hypoglycemia, and/or if you are taking any prescription or over-the-counter medication(s). Keep out of reach of children. Store in a cool, dry place. Contents sold by weight, not volume. Suitable for vegetarians. Allergy Alert: Contains milk, egg, wheat and soy. May contain: Peanuts and nuts. Best before expiration date (see tube). 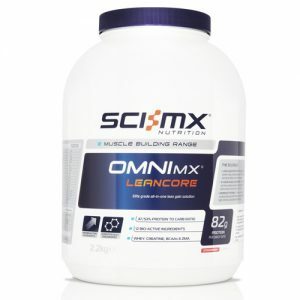 Xcore Nutrition designed Xtreme Mass Gainer for athletes who are determined to gain weight, for people with fast metabolisms and for sportsmen who are subjected to intensive training programmes, requiring large quantities of calories to replace glycogen levels, and to promote muscle recovery and growth. 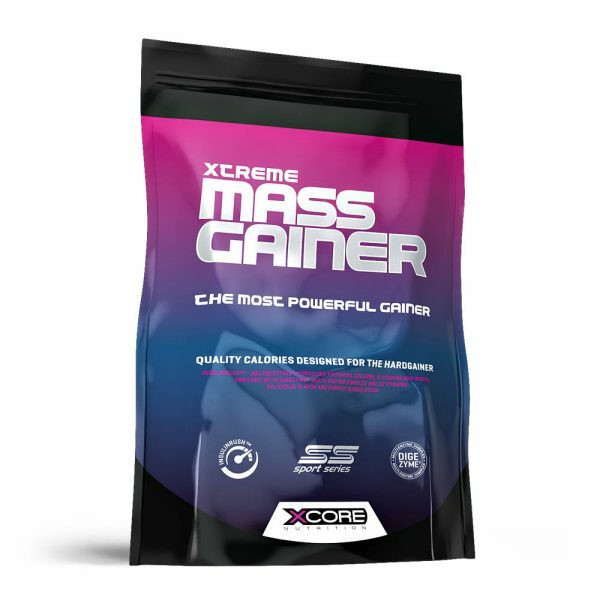 Xtreme Mass Gainer is the most practical and delicious way to ingest these calories. No matter how much one trains, this effort is useless if not accompanied by a balanced diet, large quantities of calories, proteins, amino acids, vitamins and minerals. But at times it is difficult to ingest the huge quantities of food which are necessary to gain muscle mass. Xtreme Mass Gainer has a potent formula enriched with 50g of high quality protein, 1315 calories without sugar and aspartame, enriched with creatine, BCAA’s, L-Glutamine peptides, and a complex of Vitamins and Minerals. All these compounds work synergistically to achieve extreme results. Xtreme Mass Gainer – Your Shortcut To The Next Level! 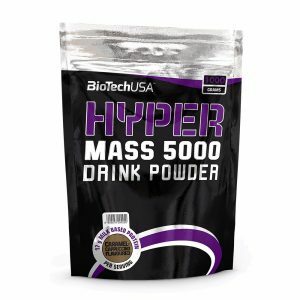 If you are a hard-working athlete who wishes to gain muscle mass, who wants to see your body grow and who gives your all at the gym, then you deserve every gram of this powerful formula. The post-workout anabolic window is the limited yet precise period of time in which muscle growth potential is at its greatest. The 30 minutes after workout are vital, they determine whether or not you will gain or lose muscle mass. Xtreme Mass Gainer has 261g of Carbohydrates that replace the Glycogen levels and besides this it helps all nutrients such as proteins, amino acids, vitamins and minerals to reach the muscle fibres quicker so that this window can be taken advantage of to the extreme.